Mio, Mich.—The ASPCA® (The American Society for the Prevention of Cruelty to Animals®) Field Investigations and Response team is assisting the Oscoda County Sheriff’s Department and Oscoda County Animal Control with the seizure of more than 50 dogs from a large, substandard, unlicensed breeding facility in Mio, Mich. The dogs were seized from the property Monday afternoon after warrants were served, and criminal charges are expected to follow. This investigation began after authorities received complaints of abuse and neglect at the facility. 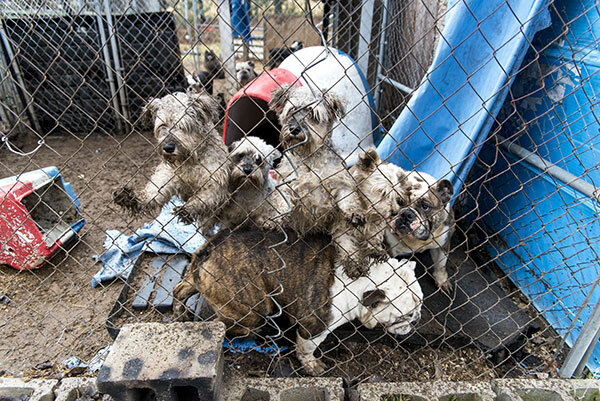 The dogs—ranging from English Bull Dogs to Schnauzers—were discovered living in small wire cages stacked in a crowded, filthy basement and in ramshackle outdoor pens. Most dogs had no access to food or water, and responders on the scene found many of the dogs to be unsocialized and fearful when handled by humans. The ASPCA believes the facility to be a puppy mill—a large-scale breeding operation designed to generate profits at the cost of the animals’ health and well-being. The dogs are being transported to a temporary shelter established by the ASPCA in an undisclosed location, where they will receive medical exams and veterinary care. ASPCA responders will care for the dogs at the temporary shelter until their custody is determined by the court. Additionally, the ASPCA is collecting forensic evidence and providing legal support to strengthen the case. Other organizations assisting with the sheltering operation include Roscommon County Animal Shelter (Prudenville, Mich.), Quincy Humane Society (Quincy, Ill.), Nebraska Humane Society (Omaha, Neb.) and Animal Rescue Foundation (Walnut Creek, Calif.). 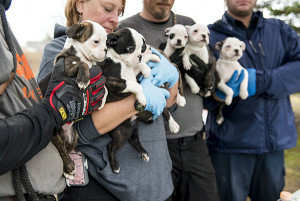 Michigan is among a minority of states without any regulation of puppy mills. The ASPCA urges state lawmakers to pass H.4898, a bill that would require large-scale dog breeders to register with the Michigan Department of Agriculture and Rural Development, and to follow guidelines that would help ensure the humane treatment of dogs in these facilities. For more information about puppy mills and how to fight animal cruelty, join the ASPCA Advocacy Brigade at www.aspca.org. In 2013, the ASPCA seized more than 150 dogs from a puppy mill in Lake City, Mich. at the request of the Missaukee County Sheriff’s Office. 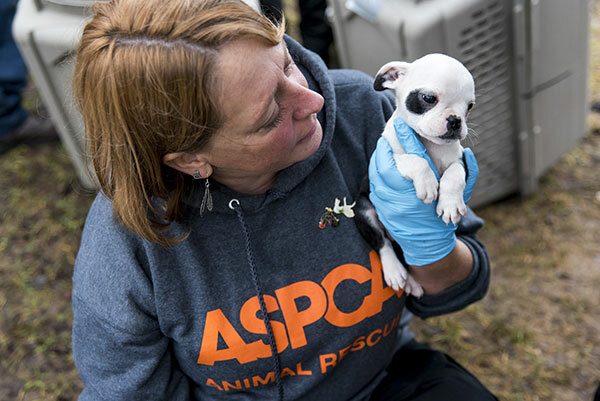 Over the past six years, the ASPCA Field Investigations and Response team has rescued thousands of dogs from puppy mills across the nation. Furthermore, the ASPCA’s Government Relations department has been active in promoting legislation at both the state and federal levels to strengthen regulations and raise minimum standards of care for dogs in puppy mills.